Last August, me, Ashley, and her mom made a day trip to Berlin, MD. After lunch, we wandered the town and came upon a random toy store. While perusing through the store, we came across a Japanese skill toy called a kendama; a wooden cross shaped toy with a holed-ball resting on top strung together. On a whim, Ashley's mom purchased one for me and we had a blast that night struggling to try to swing the ball into the "big cup". 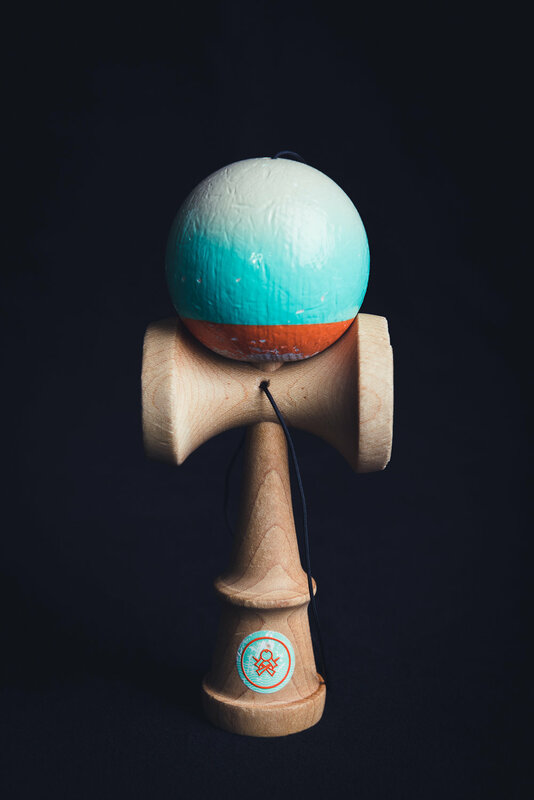 Fast forward to now, 5 kendamas later, and after many hours of playing and practicing, Kendama has become one of my latest obsessions. I've watched countless youTube tutorials and learned many new tricks and I'm still just a beginner. All in all, I've had a blast learning new Kendama tricks, improving my eye-hand coordination, and am hyped to get even better! #juggle #lunar #moretricksontricks Pictured below, are some photos I took a couple Kendamas from Sweets Kendamas, one of them a Max Norcross Pro Mod that I've been using extensively for the last few months, and two new unused damas; a Matt Sweets Pro Mod, and 2018 Prime "Slushy" Mod. I thought it would be cool to highlight the wear and tear of a used Kendama vs. the untouched shine of a brand new one.